Even though it is only September we can’t be too naïve when it comes to our holiday spending. The festive season is around the corner. 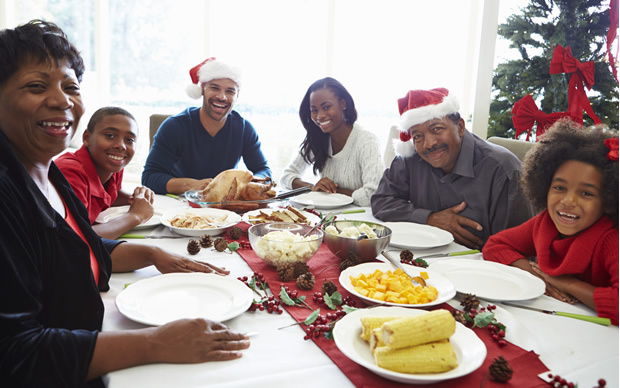 We all know that with the festive season comes pleasure, friends and family, but it also holds financial implications. What you do from now and in the running up to the festive season will largely determine how you start your 2015. It might seem too early to start talking about financial planning for 2015, but consider this… if you do not plan and start saving now, you will spend money that you did not plan to spend and might even go into debt over December. Surely no one would like to start their new year in the red. By starting now, you will have a few months to save up and plan for each expense that might arise over the course of the December holidays. By going about it in a structured and disciplined way you will be setting yourself up to start the New Year without financial stress. That said, here are the major things to keep in mind from now on. There are 3 things or expenses that stand out when it comes to the festive season. These are Presents, Food & drink and Holidays. When it comes to presents there are a few practical steps you can follow to ensure that buying presents for your loved ones will not ruin you financially. Make a list of who you would like to buy presents for. Many times we feel that we need to buy something for everyone. That is just not possible most of the times and we end up putting ourselves under unnecessary stress. Decide who’s the most important people in your life and get something for them only. Start buying presents now. Starting now will spread the expense over a few months and not concentrate it all into one month. Most of the presents we buy are non-perishable and can be stored until Christmas. Also keep in mind that the best things in life are free. Presents does not really have to cost money. Making something for someone is also nice. Spending time with someone can also be a gift. Get creative and you’ll see how special a Christmas can be without having over spending. Shop online. Shopping online will protect you from the temptations of going to a mall. Many times merchandise sold online are also better priced. We spend thousands on food during the holidays. Especially on Christmas, we tend to buys so much food that we only end up eating half of it. Leaving everything till 99 also causes us to splurge on unnecessary food. Plan ahead and draw up a menu now. Planning the meals that you will present now will give you enough time to get creative with the food. Don’t wait until 3 days before Christmas. Constructing a menu will help you to determine what ingredients to buy. It will limit the potential of over spending. Keep it simple. Keep it affordable. In many cases with food less is more. Through keen planning you will be able to present great and tasty dishes that are affordable as well. Stock up early. You can start to buy some of the ingredients now and store them until the holidays. Things like long life milk, custard, canned foods, cheese that can be frozen, cold drinks and sweets can all be bought now and stored until needed. This will just help in the sense that all expenses are spread over a few months and not cramped into one month. Going on holiday, the traveling and accommodation is likely the largest expenses that you will have over the holiday season. It is therefore very important that you go about this type of spending with some thought. Have you saved enough to go on holiday? It is important that we save a few Rands every month during the course of the year in order to go on holiday at the end of the year. Not saving sufficient amounts will cause a scenario where consumers use their credit cards to go on holiday. Using your credit card to finance a very expensive holiday is not ideal. If you are going to make use of your credit card, have you budget properly so that you will be able to afford the repayments in the next year? Many people use their credit cards for holidays, but do keep in mind that they will have to start paying back that debt when the new year starts. Have you considered local holiday destinations? We live in a beautiful country with places that we have never even heard of. It is a great privilege to be able to go overseas, but before you start planning that overseas trip, consider some local options first. The whole aim of budgeting, monitoring your spending and saving money over the holidays is to give you a good financial foundation when the new year starts. Nobody wants to start their new year in the red. Expensive holidays can be a great contributor to push consumers to a state of over-indebtedness. If you keep these few things in mind when planning your holiday season, you should be perfectly fine in the new year.